Possibly the most photographed feature on La Gomera, 20 million years ago was the basalt core of a volcano. Since then wind & rain erosion has removed the looser and softer material leaving this impressive stack visible from several of our walks. Vista of snow-capped Tenerife’s El Teide from the Alta de Garajonay, the highest point on la Gomera at almost 1500 metres above sea-level. On a clear day it is possible to see La Palma, El Hierro, Tenerife and Gran Canaria. 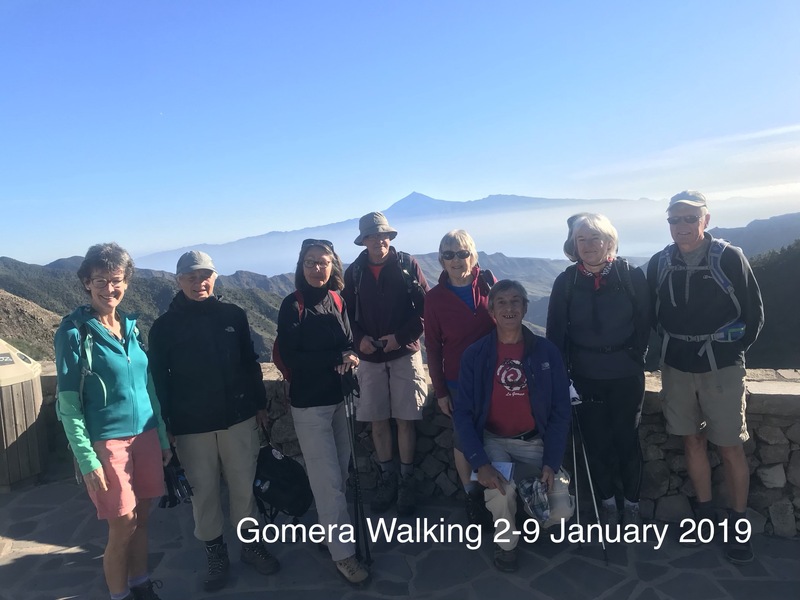 Gomera Walking(now in our ninth year) specialize in guided winter walking holidays in the beautiful and unspoiled island of sunny La Gomera a short ferry ride to the west of Tenerife in the Canary Islands. 7 nights accommodation Bed & Breakfast in the beautiful Hotel Jardin Tecina. This gives you maximum flexibility to experience and enjoy some of the delighful local restaurants available in Playa de Santiago. If you prefer to eat in the hotel (buffet restaurant) you can upgrade to half-board for €98 (select this option on our booking form). Alternatively if you decide to just eat in the hotel for a few nights then the buffet restaurant is available to you without booking for a set-charge of approx €25 added to your bill. ** You can upgrade to a "Superior Room" for €22 per person per night per person. These are bigger and situated at the front of the Hotel with direct ocean view. * Per person sharing. Single occupancy premium normally €165 but see special offers since some of our tours offer zero premium. Personal service and small group size with a maximum of 14 people per tour. Meals are not included (except for the first evening) but you don't have to go hungry! There is a well-fitted kitchenette with cooking facilities in your apartment and good selection of food is available from local shops all within easy walking distance. Alternatively there are several excellent little restaurants in the village very reasonably priced compared to UK & Ireland. You can budget on around €35 per person for nice meal with wine and obviously much less when you eat/drink in your apartment. NEW ACCOMMODATION OPTION: We can now offer self catering accommodation in Santa Ana Apartments located above the village with spectacular seaviews and use of outdoor swimming pool. They are within walking distance of the village....15 minutes by means of steps and a path. Slightly more expensive than Bellavista incurring €70 extra premium per person sharing. * Per person sharing. Single Occupancy premium €150. Highly recommended! Lovely walks, great company, good accommodation. 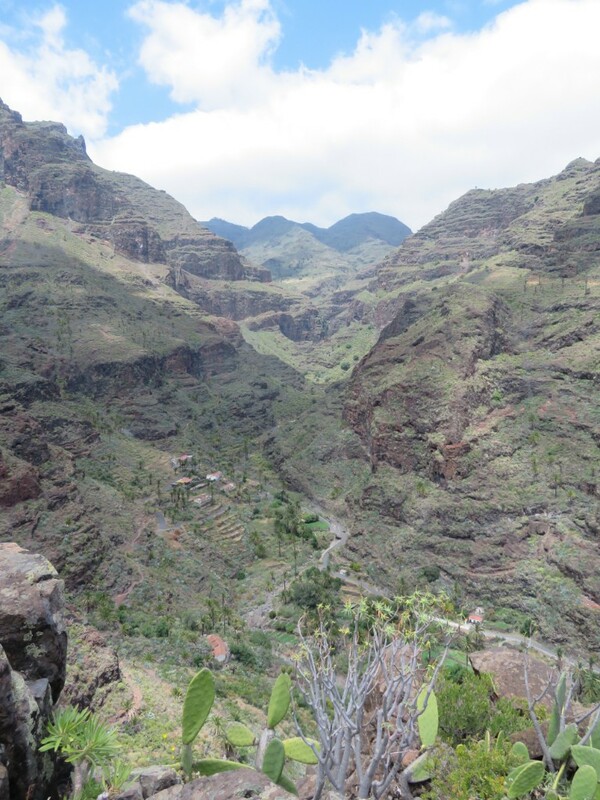 La Gomera is really special. Andy and Paddy really know what they are doing.